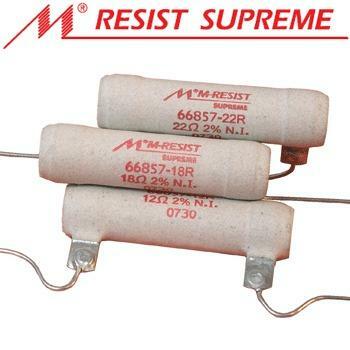 Mundorf Supreme M-Resistor 15 Ohms, 2pc. The upgrade parts make the speakers sound more clear and more natural at the same time with a more profound bass. Highly recommended. Check here for the schematic of the crossover filter. Contacting Robert to let him know how I found them he recommended the crossover up grade. 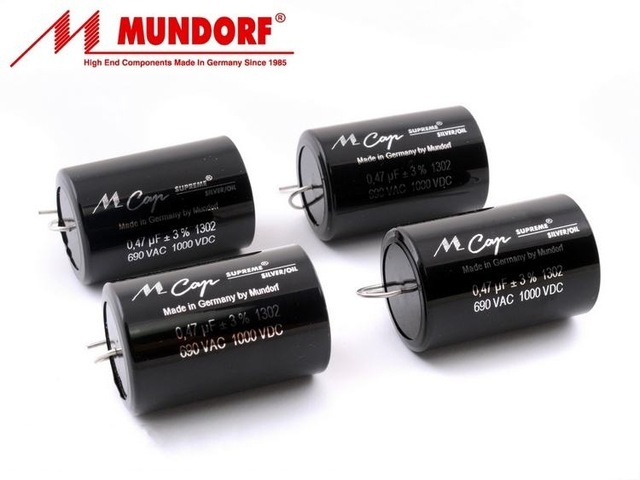 This may seem a little expensive but looking on line quickly confirms that high end audio capacitors and resistors are pricey but do get very favourable reviews. On the basis that everything that Robert had told me had proved to be right I took the plunge and got the crossover upgrade. I had two external patch board with the old and new crossovers on so that I could compare them. Would I be able to hear a difference? I was very surprised, the changes are really quite dramatic. Immediately there was more depth to the bass and a real smoothness through the mid range into the treble that made the whole soundstage more coherent and together without any loss of details or dynamics. Absolutely fantastic - I was really pleased. These sound so good they are staying in my main system and I am really enjoying listening to them.